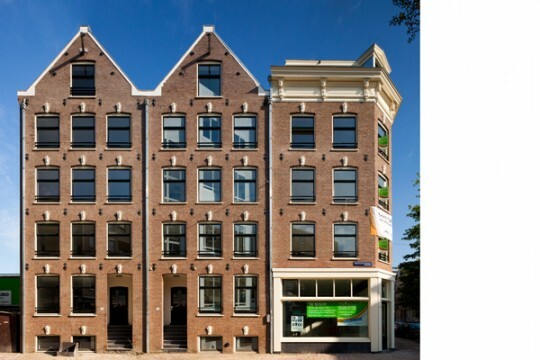 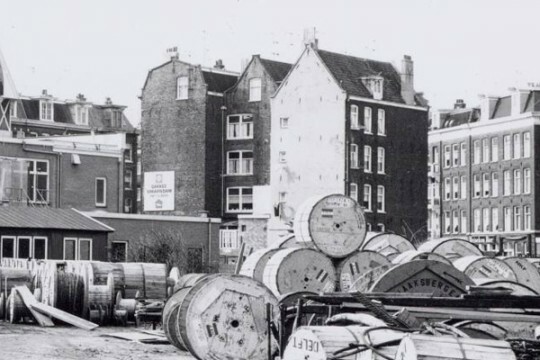 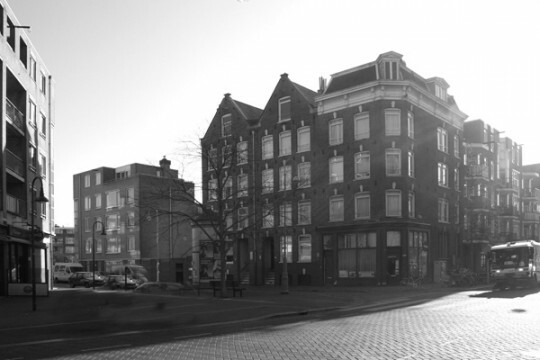 The Sweet Herring in the west of Amsterdam derives its name from history; the herring vendor, who worked from these buildings near the old sugar factory for decades, was the last inhabitant of the buildings before the restoration. 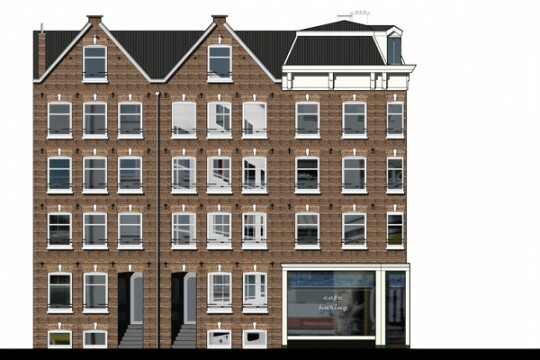 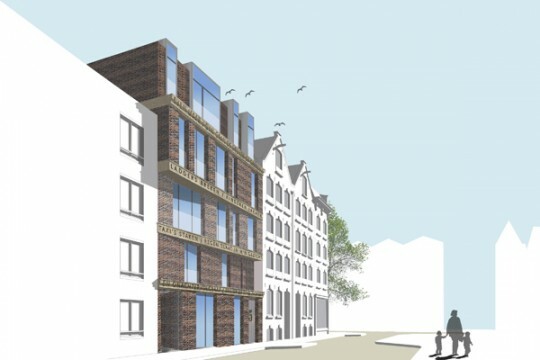 The project consists of a new urban infill and a thorough renovation of three 1901 homes which Abbink X Co saved from demolition by proposing independent student-starters units, combined with 4 new luxury apartments and a bar/restaurant. 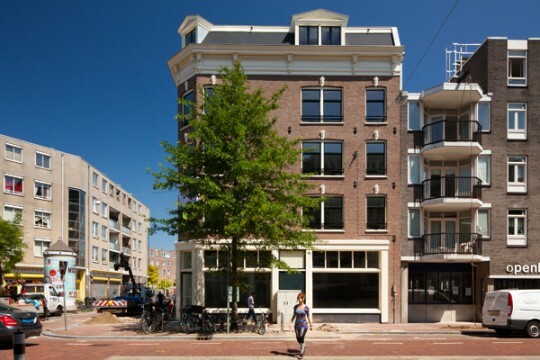 The renovation was completed in 2011 and the apartments are being developed. 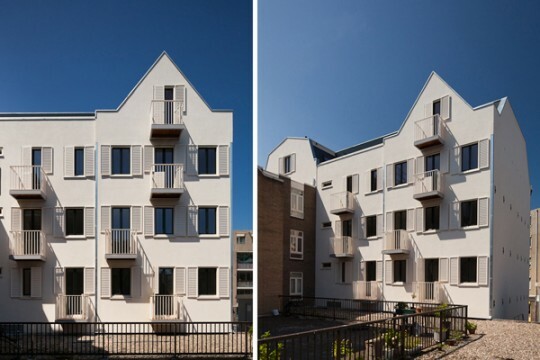 A major emphasis was placed on a low-energy project and optimum use of sustainable materials. 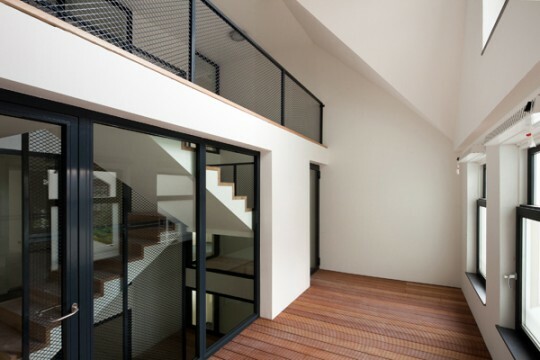 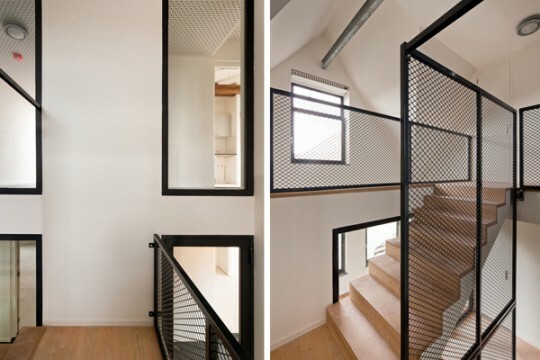 The main staircase behind the front facade is also a vertical meeting place for the tenants joining lounge areas to the collective roofterrace. 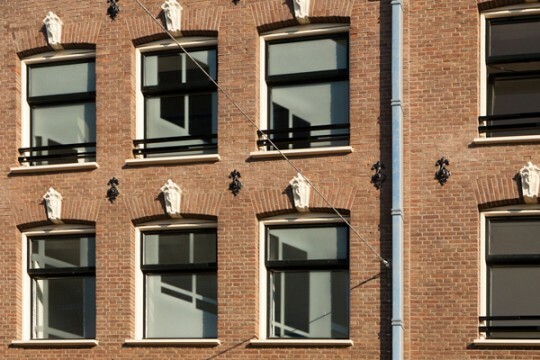 The artist Marjet Wessels Boer designed the artwork Double Glazing in the main staircase as a reflection of the world outside. 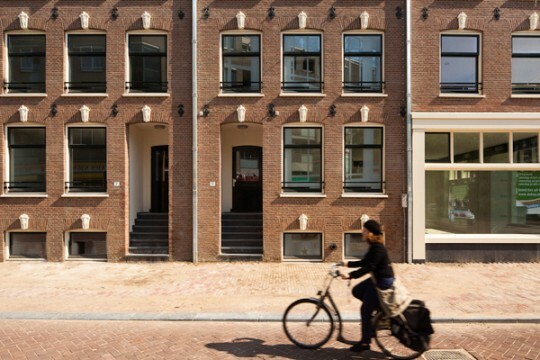 It is a subtle piece of work in which the digital prints on the renovated windows literally reflect the opposite side of the street and momentarily confuses the viewer in what they are seeing. 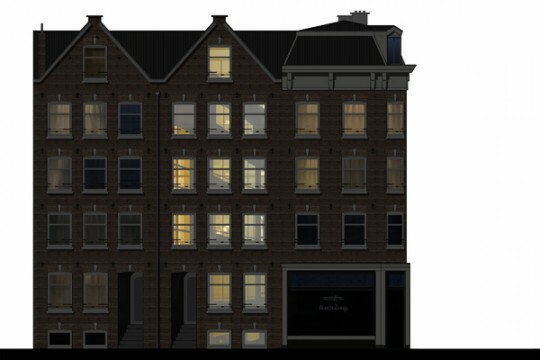 The restaurant and central stairwell behind the artwork light up at night which is why this piece is placed in the central section of this 19th century ensemble of Amsterdam facades.